Let’s get your hardwood floors back to their original glory! Searching for the best hardwood floor refinishing Shelby has to offer? It’s not hard with Fabulous Floors! Our hardwood floor refinishing service in Shelby, MI is professional and affordable. 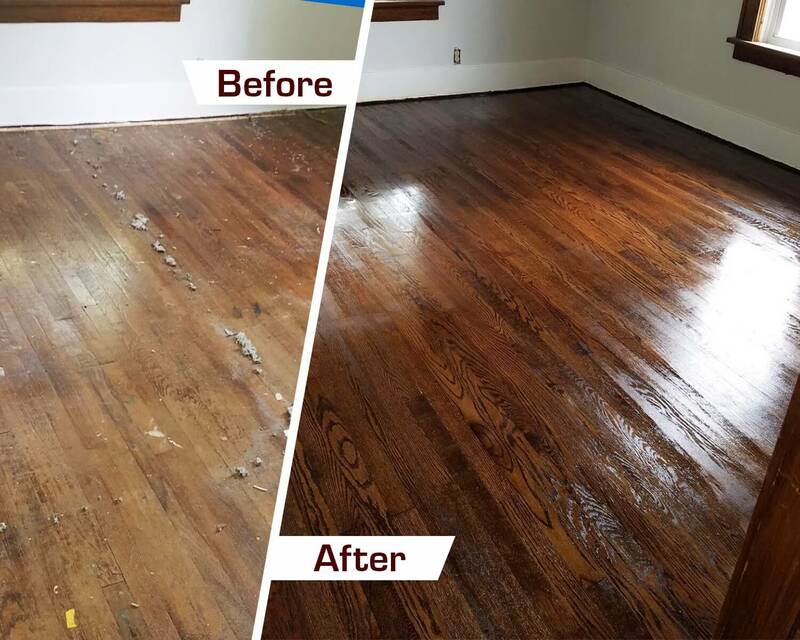 We’ll work our magic efficiently and effectively to give you an affordable wood floor renewal service with floors that look good-as-new, without paying the price for brand new floors. Our technicians have been highly trained in both customer service and the best hardwood refinishing techniques. They’ll go above and beyond and leave you with results you’ll love. Consider Fabulous Floors Michigan today and give us a call to schedule your appointment. Bring back the beauty of your hardwood floors today! First, we’ll remove the rugs and carpets on your hardwood floors and do a quick walk-through. We make sure to do a full inspection of the area we’re refinishing. We’ll then use a combination of heavy-duty sanding techniques with our powerful sanding equipment as well as the good old fashioned hands and knees scrubbing to make sure that your floors are perfectly smooth and scratch-free. The next step in our process is to apply your desired stain color. We have a variety of options when it comes to stain colors for your Shelby, MI home, so have fun picking one out! Lastly, we’ll add a coat of polyurethane to the hardwood floors for both protection and to lock in that shine of the new stain color. Check out this video to learn how Fabulous Floors Michigan uses their refinishing system to bring back the beauty of your hardwood floors, without the cost of getting all new floors!